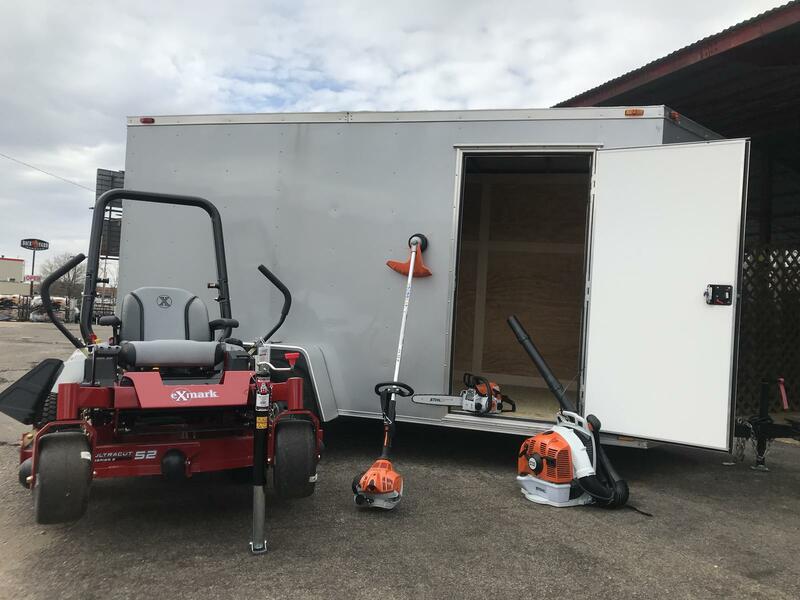 The 2019 Commercial Cutters bundle package! 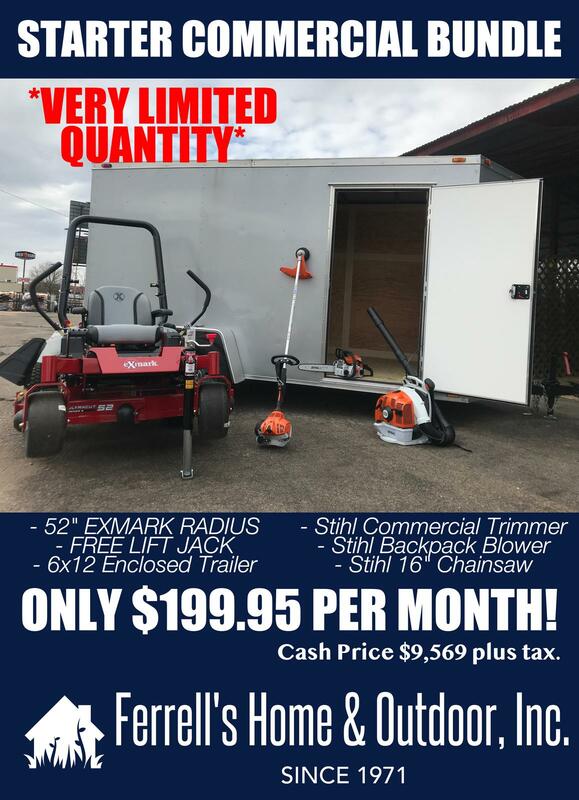 Exmark Radius E-Series 52" Cut / 6x12 enclosed trailer / BR350 Blower / FS70 Trimmer / MS180 Chain Saw. Comes with free lift jack! Priced to sell with payments as low as $199.95 per month!